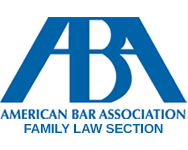 Legal issues involving family law and estate planning are among the most personal and emotional areas of law. Whether you are contemplating a divorce or determining how best to protect your family after your death, the decisions you make impact the people you love the most. We can guide you through your family law or estate planning issue. We help you make informed decisions about your situation and remain focused on your best interests throughout your case. And, because family law issues tend to evolve over the years, we work with our clients to adjust agreements such as child custody and visitation, and child and spousal support, based on changing life circumstances. We create clear, custom and legally sound documents designed to protect your best interests. For experienced representation in the Dayton, Ohio Miami Valley area, call our office in Bellbrook at (937) 310-3073. We provide strategic legal counsel to individuals and families in family law and estate planning.